We now enjoy unrivalled access to all the South West Markets. We source directly from Newlyn, Plymouth and Looe and we also have a third-party buyer on Brixham Market. We also buy certain species on Lerwick Market, in the Shetlands, which provides amazing sustainable options and a great alternative market for the times when weather is bad down here. A selection of farmed products including RSPCA Assured Shetland Salmon. What this means is that we are able to offer fresher product with great provenance, often able to tell you the market and even the boat that we sourced the product from. Many people in our industry talk about sustainable and ethical sourcing, but we let our actions speak for us. We are MSC (Marine Stewardship Council) Certified and supporters of The Cornwall Good Seafood Guide.  We support the National Lobster Hatchery in Padstow and all the work that they do to maintain a healthy and sustainable fishery, here in the South West. Unless a product meets our sustainability standards, we do not source until we can find a viable sustainable option or at least offer an excellent alternative. In addition, we are making every effort to minimise the amount of packaging used when delivering, with an increasing number of our customers having their seafood delivered in fish boxes, removing the need for packaging. Work hand-in-hand to prepare for your courses taking into account important factors including seasonality and sustainable sourcing. You and any members of your team and your students are very welcome to join us for an early start, ‘Market Buying Experience’ at one of our incredible South West Markets.  Visit Fish for Thought HQ, in the famous fishing port of Bodmin, for us to show you and your students the amazing world of Cornish Seafood, first hand. We could work with you and support certain seafood classes, courses and events. This could include us sending team members up to London to work alongside your team to deliver real insights into the UK fish and shellfish markets. Collaborate on opportunities with video, photography and social media, that can benefit both businesses. Develop special offers, and potentially “experiences”, for your staff and students. you, with minimum packaging at a time that is most convenient for you.